For decades, fossil fuel was the only game in town. Now, even that is threatening to disappear. Editor’s note: This article is a collaboration between Huffington Post and the Arizona Center for Investigative Reporting, as part of the Listening to America project. This article is eligible for republication only with express permission. For 27 years, Erwin Marks helped design military aircraft, missiles, drones and even solid rocket boosters for the space shuttle. The work was a good fit for Marks, who’d left the Navajo Nation to study design engineering technology at Brigham Young University in the 1980s. But after almost three decades, Marks had grown tired of the hiring and layoff cycles every few years as federal contracts were awarded and expired. 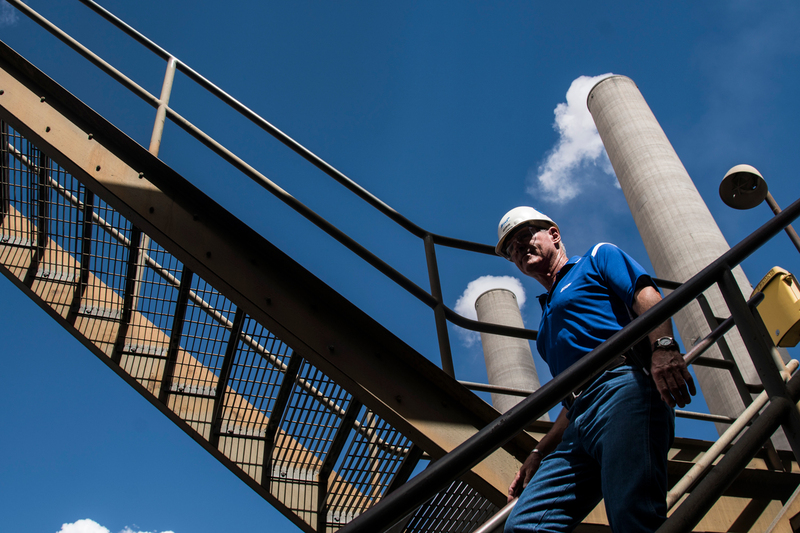 When he was offered a maintenance planning position at Navajo Generating Station, a coal-fired power plant outside Page, Arizona, in 2014, Marks took it. Not only would the job put him closer to where he grew up and near his siblings, he thought it might be the last time he would have to look for new work. “This is probably the first three years in my career I haven’t gone through a layoff,” he said. But earlier this year, Marks’ future was thrown into upheaval again. In June, Salt River Project, the main owners of NGS, announced that, after 40 years of operation, the plant will be shut down. It will take years to complete the planned decommissioning, but community leaders expect the impact will be severe. SRP executives have said they will try to relocate willing NGS employees to other SRP workplaces in the state. But for Marks, that would mean having to move again, away from his family and the place he calls home. The closure of NGS signals the direction of America’s energy market: away from coal, and toward cheaper, cleaner-burning natural gas. But the shutdown also fits into a longstanding context of poverty and isolation for Native Americans, particularly in Arizona. The poverty rate in the Navajo Nation is 42 percent, more than double that of Mississippi, the worst among the 50 states. Navajo unemployment is 22 percent, more than four times the rate of Arizona as a whole, and roughly three times that of Alaska, the state with the highest unemployment. Almost half of Navajo households and more than one-third of Hopi households have an income below $25,000, and barely 1 in 5 Navajo adults holds a full-time job. Marks and hundreds of other NGS employees will face a choice: Relocate, moving away from their families and homes, in order to keep a high-paying job, or look for new work in an area with few jobs and hardly any infrastructure to support economic growth. Beyond its effects on individuals, the plant’s closure is expected to have a dramatic impact on the revenues of the area’s tribes. 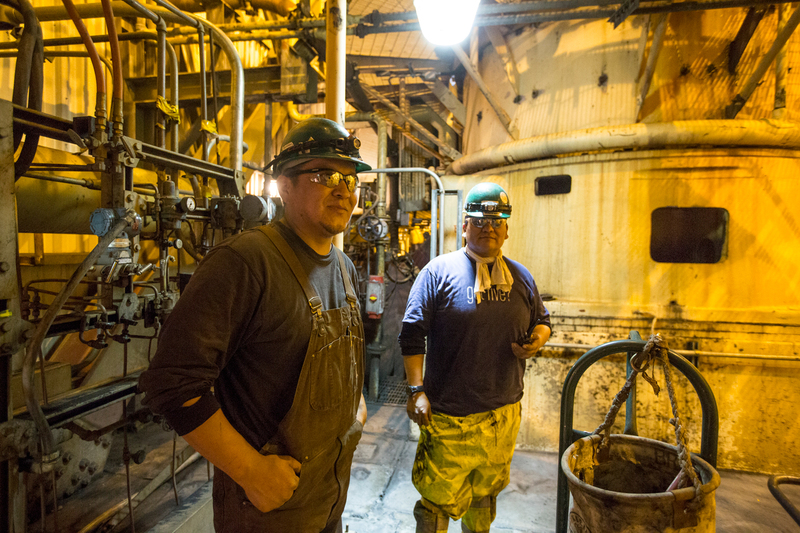 Through lease agreements and royalties, Navajo Generating Station accounts for roughly a quarter of the revenue the Navajo Nation collects each year. Similarly, the coal mine 70 miles to the east, which provides the fuel for NGS, accounts for two-thirds of the total revenue for the neighboring Hopi Tribe. Local leaders have some ideas for how to mitigate the loss of such a sizable portion of the area’s economy. But no concrete plans have been made ― and certainly nothing that would immediately replace what NGS has provided to the region for decades. By the 1950s and 1960s, Arizona’s population was poised for growth. Mild winters, cheap land and abundant natural resources drew people and business. But if the state was truly going to grow, ambitious water management would be a prerequisite. To ensure steady access to water, a team of politicians and engineers devised the Central Arizona Project, an immense water diversion system that now pumps water from the Colorado River, uphill, across hundreds of miles of the Sonoran Desert, wrapping around the Phoenix metropolitan area before turning south toward Tucson. CAP also needed cheap, reliable energy. 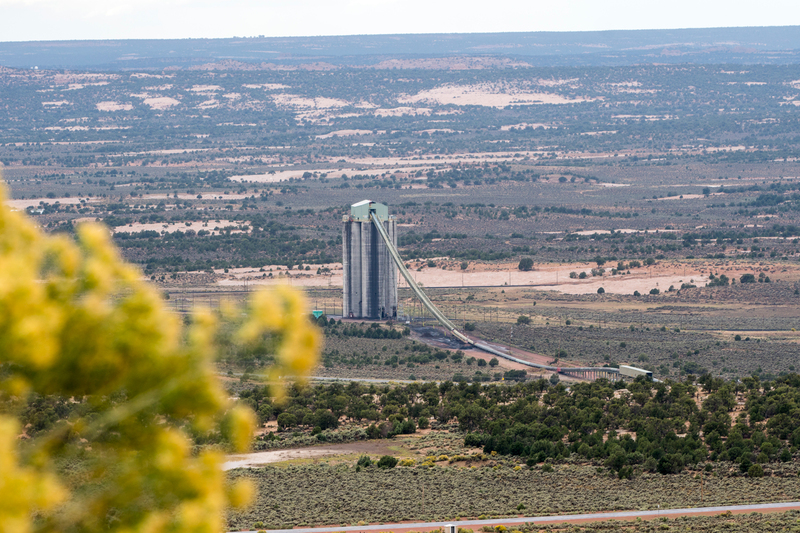 The vast coal deposits discovered around the same time near Black Mesa in northeastern Arizona led planners to the final piece of the equation: Navajo Generating Station. In 1966, Peabody Coal was granted the right to begin mining the coal-rich area around Kayenta. But around the same time, a simmering dispute between the Navajo Nation and the Hopi Tribe over land along their border came to a head. Federal lawsuits between the tribes resulted in a “joint use area” in the disputed land. In an attempt to spur negotiations between the two tribes, and to allow coal mining to move forward without impediment, Robert Bennett, then the U.S. Commissioner of Indian Affairs, established a ban on any development or repairs in disputed land. This came to be known as the “Bennett Freeze,” and although the stated goal was to inspire a negotiation, the dispute was not settled for 40 years ― leaving people in the area unable to build new infrastructure or even repair existing structures. The deference toward Peabody Coal’s interests, coupled with the severe restrictions on infrastructure projects, meant that Native Americans in the region were essentially rendered bystanders during the extraction of lucrative fossil fuels ― an outcome that some historians argue was far from accidental. Whether or not that was the goal, practically all observers agree the effect was devastating for both tribes. Jack Jackson Jr., a former Arizona state senator and the current director of tribal engagement for U.S. Rep. Tom O’Halleran (D-Ariz.), grew up on the Navajo reservation. He says that while the development ban came with assurances of future investment by the federal government, the negative consequences were far-reaching. The Bennett Freeze barred communities from building roads, schools or hospitals, making it impossible to attract any industry outside of the established fossil fuel interests. As a result, NGS and the coal mine that supported it were effectively the only opportunities for high-paying, full-time jobs. That makes the prospect of an NGS closure all the more dire. Over the past decade, the idea has taken hold among some portion of the public that a so-called “war on coal” has caused NGS and other coal plants to shut down, SRP spokesman Scott Harelson says. But that’s not the case. “This is not caused by overarching regulatory pressure,” Harelson explained. Rather, the market for energy-producing fuels has been turned upside down, leaving coal-powered energy a more expensive proposition than would have seemed possible even a few years ago. California and Nevada, two states that at one time owned portions of NGS and bought portions of the power produced there, later passed laws forcing them to back out of their stake in the plant. Harelson said that while the two states’ withdrawal strained the plant’s economic viability somewhat, it was the larger economic shifts that drove the decision to shut the plant down. The advent of fracking, along with new natural gas discoveries, caused a plunge in the cost of natural gas-powered energy. As utilities across the country adjusted their outlooks, the end of coal came into sight. Natural gas prices go up and down, Harelson explained, but in 2009 and 2010 the prices started to drop in a more significant and prolonged way. David Fritsch, an analysis and forecasting expert with the U.S. Energy Information Administration, said SRP executives likely made the right call. In addition to the new drilling and natural gas discoveries, construction of new pipelines to move the fuel across the western United States means prices should remain competitive. “There’s definitely a lot of gas-on-gas competition,” Fritsch said. Elected officials, from Navajo chapter house presidents and county supervisors to local mayors and the congressman representing the area, agree that the closure of NGS will have a devastating effect on the community. But they don’t have a shared vision for what comes after. Felix Fuller has worked as a chemist at NGS for 17 years. He also serves as the president of the Shonto Chapter House ― an administrative, communal meeting place where residents have a forum to express their opinions to their Navajo Nation Council Delegate or decide on matters concerning their chapter. He hopes increased tourism might be part of the solution. Fuller compares the current outlook for his community to that of Moab, Utah, a generation earlier. The Moab area is rich with uranium, and became a main source for the nuclear fuel during the Cold War. But after demand cratered in the 1980s and ’90s, Moab successfully transformed into a destination for millions of tourists every year. An economy centered on mountain biking, rock climbing and 4x4 recreational vehicles has replaced what was previously an economy based on resource extraction. And it’s still growing. Fuller, who manages his family’s property, said he’s started building bike trails on his land, in hopes of attracting tourists looking for secluded mountain biking. He’d also like to see more local farming in the area. As for himself, he plans to see if he can be moved to another SRP location. Page Mayor Bill Diak said the town has prioritized expanding tourism at Lake Powell. It’s been a success as far as putting people to work, but the jobs don’t compare to NGS positions in terms of compensation. O’Halleran, who represents the Navajo Nation in Arizona’s expansive 1st Congressional District, believes the solution lies in massive investments. Bringing broadband internet and expanding basic services like running water and electricity should be a priority, he said. O’Halleran says he’s not alone in Congress, and that members of the Native American and rural Congressional caucuses are advocating for rural infrastructure spending. He hopes it can be part of the infrastructure package that President Donald Trump and Congressional leaders have discussed. Another solution, O’Halleran says, may be renewable energy production. Renewable energy is a viable option, SRP’s Harelson said, and the transmission lines already in place would help, but going that route still wouldn’t match the volume of jobs required for a coal plant. NGS takes several hundred employees to operate, but a solar plant like the one recently opened near Kayenta requires only a few dozen to run. And the amount of energy produced by even a large-scale solar project ― Kayenta’s is expected to produce 27 megawatts ― would only be a fraction of NGS’ 500 megawatt capacity. Lena Fowler, a Coconino County supervisor who represents much of the tribal area in the northern part of the county, said hoping for increased tourism is no immediate answer. She believes the solution lies in infrastructure. Fowler said she’s been told that manufacturers cannot justify the cost of transporting materials in and out of the expansive tribal areas, and that there’s not enough population to sustain much more of an economy than what already exists. 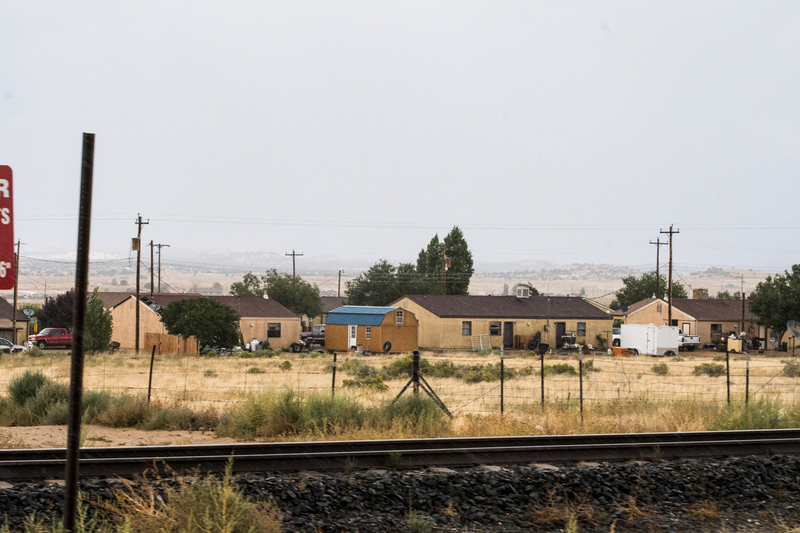 The lack of basic infrastructure ― running water and electricity are not common on much of the Navajo reservation ― creates a feedback loop that leaves Native Americans in the area with no real options. These patterns of economic stagnation and families being forced to split apart will only worsen in the wake of the NGS closure, she predicts, without some kind of drastic action. A best-case scenario, Fowler said, would be an increase in educational opportunities, which she said she has been advocating for in the form of new partnerships between Northern Arizona University, Coconino Community College, Diné College and Navajo Technical University. She’s encouraged by an initial agreement signed by the four organizations earlier this year, but concrete plans for the Page Higher Education Center have yet to be formalized. “Everyone is scrambling to see what will happen,” she said. For five years, Marie Justice drove a charter-style bus full of coal mine employees between Page and the Black Mesa mine. Previously, she had driven a school bus. Then in 1988, one of her passengers, a human resources manager at the coal mine, told her the mine needed coal truck drivers, and that he wanted her to apply. 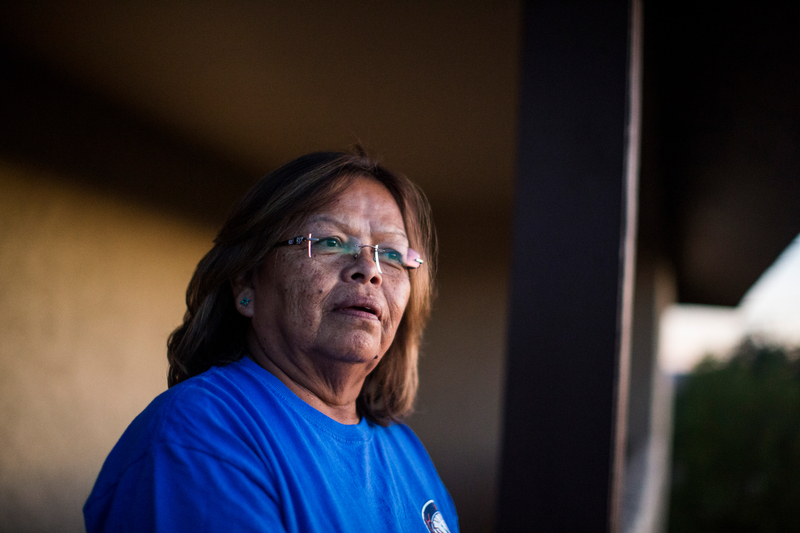 In her 29 years working first for the Black Mesa mine, then for the Kayenta mine, Justice has served four terms as the labor union president, and was recently re-elected to her fifth. She said she likes to look out for the safety and well-being of the employees. 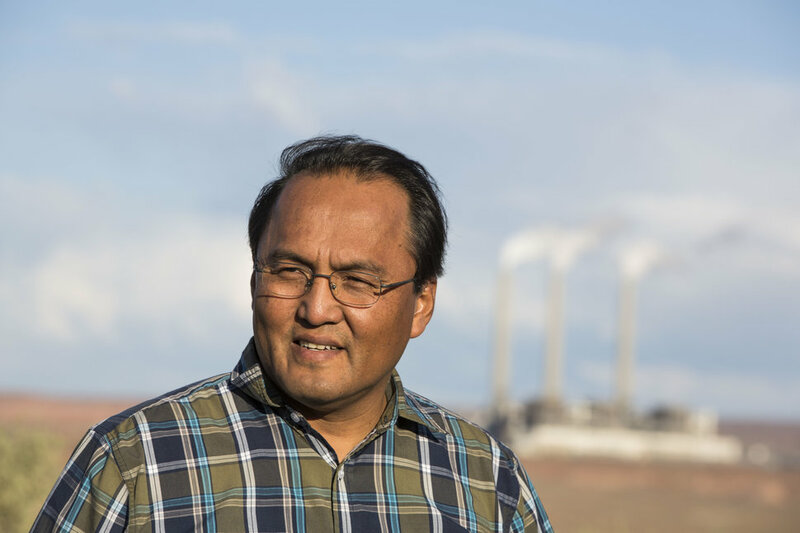 When SRP announced in January that the company intended to shut down NGS this year, Justice mobilized, pressuring Navajo Nation leaders and SRP to keep the plant running at least until 2019. Finally, both sides agreed to the 2019 extension, but Justice said she still hopes to see a new ownership agreement, which could keep the plant ― and, by extension, the Kayenta mine ― running until 2044, a plan SRP executives had considered during the mid-2000s. 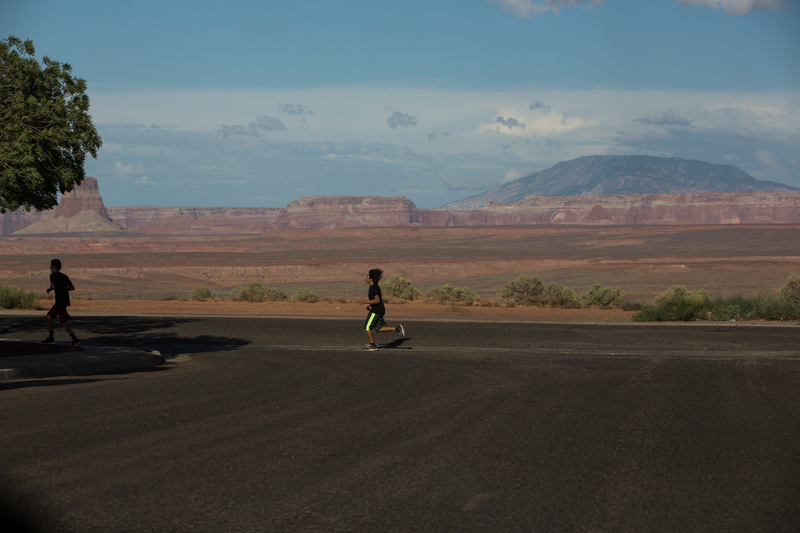 The Navajo Nation doesn’t deserve SRP so abruptly leaving the area, Justice says. Justice, who is 61, said she will probably retire in 2019 if the plant shuts down then. She still raises sheep and sells their wool. She and her husband have also started a small business, guiding hiking trips into the slot canyons on her family’s property. It’s the other employees, who have decades before they can retire, whom Justice is worried about. On Oct. 11, the U.S. Department of Commerce laid out a plan to distribute $30 million in grants to communities where the local economy has suffered or faces a downturn due to the decline of coal operations. Of that, $624,000 will go to communities affected by the NGS and Kayenta closures, aimed at promoting “economic diversification, job creation, capital investment, workforce development and re-employment opportunities,” according to a press release from the agency. About two-thirds of the money will go to the Hopi Tribe and the Navajo Nation, some will go to Navajo County, and about $100,000 will go to an Arizona State University initiative to promote renewable energy production in the area. NGS had set an Oct. 1 deadline to find a new owner or ownership group. But Lazard Fréres & Co. LLC, a financial management firm that’s been contracted to seek a new owner of the operation, said in recent weeks that it has a list of potential owners and is still pursuing the idea that NGS could be bought and continue operations past 2019. Lazard has not identified who the potential buyers are, and NGS officials say they’re still preparing for the planned closure. While the tribal communities around Navajo Generating Station and the Kayenta coal mine wait anxiously to find out what comes next, Fowler, the Coconino County supervisor, said she sees parallels between the current situation and what Native Americans have been subjected to for centuries. The closure of the mine could well result in divided families and an even more fractured community ― like any number of other sweeping actions that had broad repercussions for Native Americans, but that weren’t in their control.